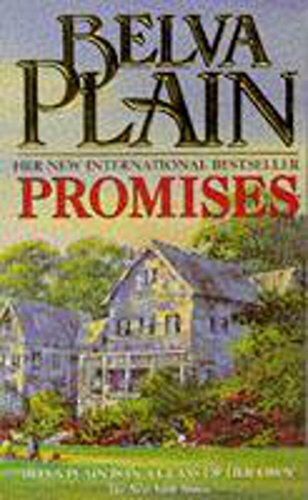 From the bestselling author of The Carousel and Daybreak comes a stirring, timely story of adultery and its impact on the American family. Margaret and Adam Crane seem to have a near perfect life--she's a teacher, he's a computer executive, and together they are lovingly raising their own children and Margaret's orphaned niece. Then one day the phone rings--and suddenly everything changes forever as a woman from Adam's university days reappears in his life, and an old affair re-ignites. At the same time, there are problems in Adam's workplace--a possible takeover and downsizing. The reverberations from these two circumstances will touch many lives and bring with them changes that no one could have predicted. 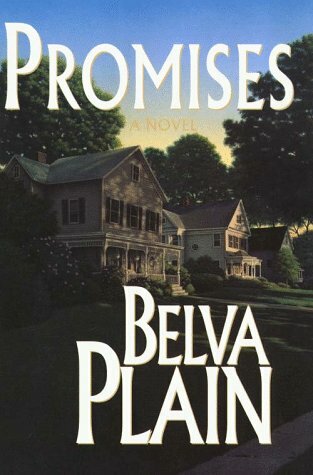 In Promises, Belva Plain--as only she can do--depicts the fraying fabric of family life in the wake of extramarital affairs, while at the same time celebrating the importance of strong and nurturing family values. 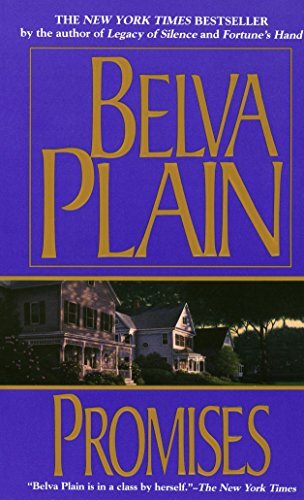 Dramatic, compelling, and always exciting, Belva Plain's storytelling talents confirm her standing as the foremost chronicler of family life today.